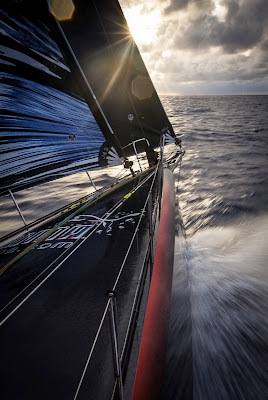 PUMA escaped the clutches of the Doldrums with only a wafer-thin lead on Tuesday, after a night’s “yo-yo racing” through squalls and rainclouds saw their closest rivals gain about 30 nautical miles in 24 hours. At 1300 UTC just 2.8 nm separated first and third, with PUMA Ocean Racing powered by BERG leading by 1.8 nm over CAMPER with Emirates Team New Zealand and Team Telefónica a nautical mile further back in third place. With half of Leg 6 from Itajaí to Miami still to race, Read is all too aware that there are further threats to PUMA’s long-held advantage to come, with a tropical wave in the North Atlantic set to disrupt the trade winds creating further unstable weather on the race track in coming days. “There are plenty more moments of light air pot holes ahead that we’re going to run into and most likely the troops behind are going to come hauling back into us,’’ Read said. 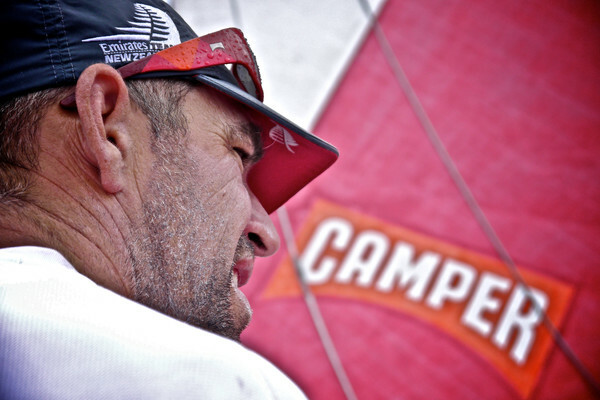 Meanwhile, confidence is building on board CAMPER, who notched up an impressive 433 nm in 24 hours in the Doldrums. Navigator Will Oxley is hoping for similar figures over the coming day as the trades erupt. “The GRIB files have been completely wrong so it’s been ‘seat of your pants’ stuff,’’ he said. “Really, we’re just trying to maximise speed to Eleuthera, which is the next waypoint. While speeds are set to increase tonight, Volvo meteorologist Gonzalo Infante said a fast moving tropical wave would complicate the teams’ courses. Infante reckons the tropical wave could force to the top three into taking varied courses based on their individual performance. “In the eastern edge of the wave the trades will be pulled more south east than east, meaning more down wind angles for anyone positioned there,” Infante said. Infante said sailing east may suit CAMPER, who have in the past struggled to match the close reaching performance of the two Juan K boats, PUMA and Telefónica. Infante expects the boats to be into fast sailing conditions tonight, with boat speeds around 20 knots in winds ranging from 16 to 22 knots, at angles between 110 to 130 degrees. At the rear of the fleet fourth placed Abu Dhabi Ocean Racing and fifth placed Groupama sailing team continue to negotiate a difficult comeback route from 81 nm and 93 nm in the wake of the leaders respectively. Groupama Media Crew Member Yann Riou said the only thing that was moving with any great speed was the estimated time of arrival of the fleet in the United States. The leading boats in the fleet are expected to cross the finish line in Miami on May 9.